Silicon Valley, CA - John T. Chambers, former Chief Executive Officer and Chairman of Cisco Systems, business track record is nothing short of astonishing. In his 20+ years as CEO, Chambers grew the networking hardware company from 400 employees to 70,000, and from $70 million in sales to $47 billion a year. 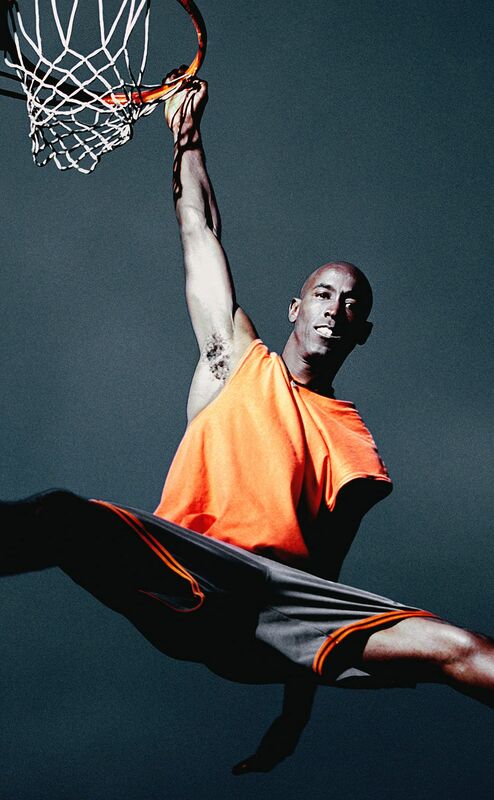 “The photo shoot with John Chambers resulted in many great executive power images that day. A powerful Fortune 500 CEO is what I wanted the final image to convey. John delivered,” said Grecco. Chambers has moved mountains in his storied career, beginning in technology sales at IBM. Once he joined Cisco in 1991, Chambers rapidly ascended to role of CEO in 1995. In 2006 he was named Chairman of the Board while still serving as Chief Executive. On July 27, 2015, Chuck Robbins replaced Chambers as CEO of Cisco Systems. Throughout his 20-year run as CEO, Chambers achieved unicorn-type success with taking Cisco from $70M to $47B a year in sales. Helping put Cisco Systems market cap value around $194B today. 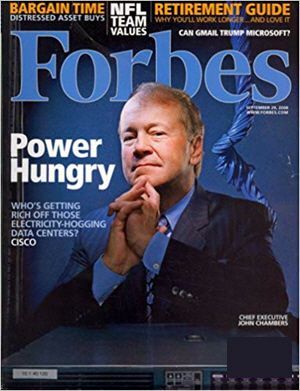 “Forbes ultimately chose to use the headline ‘Power Hungry’ on the cover. A Power image and power headline equals a power cover, and that is what I strive for with each cover shoot,” Grecco said of his work. Forbes magazine is a well-known business magazine published bi-weekly with an estimated 931,000+ circulation. Based in Jersey City, New Jersey, it's first issue was published 101 years ago starting in 1917. The magazine is well known for the Forbes 400 and other popular net worth lists and rankings. Current Editor-in-Chief is Steve Forbes.